Summer is the season for vacations, staycations, weekend getaways, and day-long excursions. Whatever family-fun you have planned this season, there is no reason it has to break your bank account in the process. With a little ingenuity and financial finesse, you can enjoy the spoils of summer and demonstrate some money moxie at the same time. As many fans of The Money Guy Show know, I recently took a vacation with my wife to St. Lucia, and these methods worked for us! Here are seven sure fire ways you can take that long anticipated vacation and successfully save some money, too. See if you qualify for any upgrades or freebies through memberships or specific credit cards that you have or use. 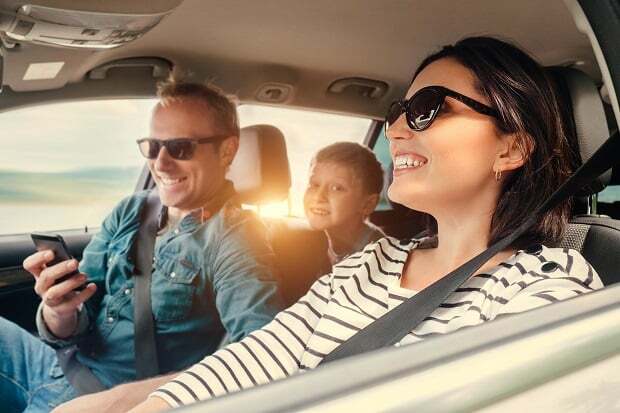 AAA and Costco memberships are perfect examples of memberships and credit cards that can offer super savings toward travel and vacations. Personally, I have taken advantage of the Starwood/Marriott membership, which entitles members to free bottles of water, local newspaper, and Wi-Fi/Internet. By booking our resort with the AMEX Platinum card, we were provided free breakfast daily. Since our daily tab was over $60 you can see how this is a big saver! Regardless of the rewards program, you can stretch your dollar further by checking out which perks you’re eligible for beforehand. If you can be flexible – or even spontaneous – that can really work to your advantage. Why? Because certain dates tend to be more expensive to travel, like around holidays or spring break. But if you have some flexibility with your travel dates, you can pounce on a great deal for your destination of choice. Airlines like Southwest offer a flexible dates option on their website so you can view airfare prices in full-month view. This allows you to choose the best price. As impressive as your shoe or sneaker collection is, you don’t need to pack every pair when you take your next vacation. When travelling by air, the less you can bring – the better. Extra applause if you are able to avoid checking a bag at all. Unless you travel Southwest Airlines, you’ll be spending a minimum of $50 extra per person for your goods to travel with you round trip. When you’re a couple or family of three or four, baggage fees adds up fast! That money could go towards having fun while on vacation, not just getting there. Goodness, do we love eBates. We’ve talked about this cashback website before for saving money on your holiday spending. Well, you can also use this website to book travel, too. Between the credit card rewards and then an additional 1 to 5 percent cashback incentive by booking through a discount website, you have the potential to save a pretty penny on your vacation without scaling back a thing. Ever hear about CheapCaribbean.com? If you are taking a trip to the Caribbean anytime in the future, check it out for extra savings. Though, before you book a hotel through a travel site do a quick comparison with the hotel website directly. Even if the price at first blush does not look cheaper, the hotel site may have a room offering that includes breakfast or some other perk. On my family trip to New York earlier this year we ended up booking directly through the Marriott website, because for $19/day more we received breakfast for 4 (gratuity included). It was a steal since the breakfast buffet would have cost us over $150/day. Nothing tanks a vacation budget more than food and drinks. It can be easy enough to budget for travel, overnight accommodations, and daily activities. But meals and alcoholic beverages can quickly run up the bill if you aren’t careful. If you can take a vacation that includes some or all meals and beverages, you can more easily stick to your budget and gain the best value for your dollar. If you can’t book all-inclusive, why not consider a suite with a kitchen or a rental home instead? When you have the ability to prepare some of your own meals, you can save a lot of money. Skip the $100 breakfast at the hotel restaurant, and prepare bacon and eggs for yourself instead, or a simple bowl of cereal. You wanted to get up and out quickly anyway! Vacations are a time to unplug and unwind. But how many of you are willing or able to disconnect completely? If you know you are going to wind up checking work emails at a minimum, what if you planned some specific work while on vacation? Depending on the type of work you do, you could meet-up with a client or prospective client, catch up on business planning and strategy, review those financial reports, or conduct research. If you do, you may be able to write-off all or some of your travel as a business expense or get your employer to cover some of it. If you can set boundaries for yourself so your family still gets the best of you, it’s not a terrible idea! What are some creative ways you’ve been able to save money on your vacation? It feels good to get a good deal. It feels great to create a saving opportunity for yourself. Share your stories with us!